My turn with a Stitchy Crush! 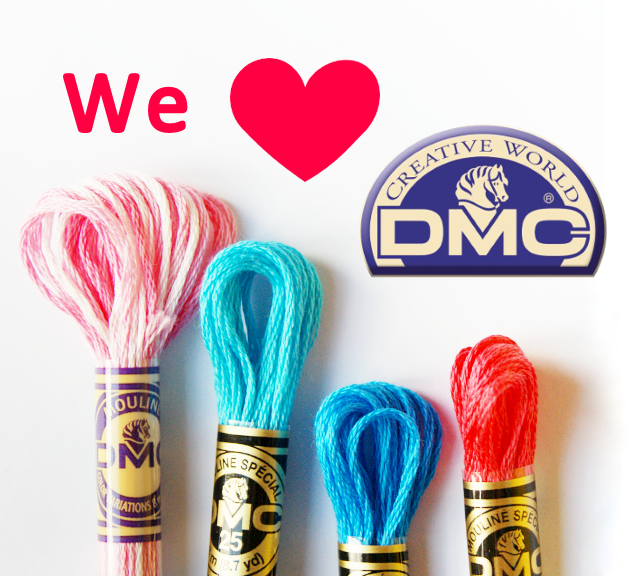 The Coloris range of floss from DMC. I first saw them mentioned a few months ago on the Spanish DMC blog and I was instantly smitten. Ever since I've been wondering (and regularly Googling!) if they would be available in the UK. And now they are! I found them on Sew & So, but they're available elsewhere too. The Coloris floss is kinda like variegated floss, it changes colour. But unlike the regular variegated, Coloris isn't a gradual change between similar colours or shades on one colour. No, Coloris changes between different colours! How cool is that? You can see from my photo that there's lots of colours in the same skein - I think the colour changes every five centimetres (2") or so. I think this is so inspiring. So much fun! So beautiful. And even the names are fabulously evocative: Fleur des champs, Camélia, Côte de granit, Nuit canadienne, Vent du nord, Primavera and more. You can see more about the Coloris colours on the French DMC site. Be sure to scroll down the page to see the gallery with stitched samples of each colour. What would you stitch with these fabulous colours? i am loving these! i hope they become easier to get in the US soon. :) i am not sure what i would stitch, but i like the idea of doing some blackwork...and maybe some crazy colored portraits or a field of french knots would be lovely. Looking forward to seeing what beautiful piece you make! Oh yum, I'm putting these on my wish list for sure. I love sewing with thread that comes in multi-colors! Wow, I have to get my mitts on these. I've just contacted my wholesaler to see if and when they will be available in the US. Can't wait to see them! 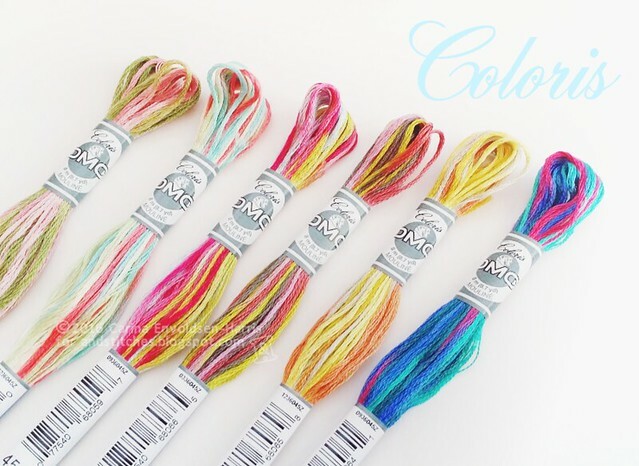 Since I'm addicted to multi-color threads, I would use this in almost all of my projects.